Apple's recent announcement of a Product Red Special Edition variant for the iPhone 8 and the iPhone 8 Plus, left quite a few iPhone X fans disappointed. 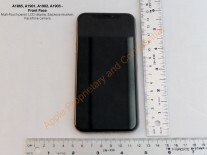 As per the latest info out of Cupertino, there isn't going to be one. Instead, Apple has launched a Product Red Leather Folio case for the phone, which features a deeper red finish and a contribution to the Global Funds for fighting HIV/AIDS built into the price, as well. That's not really the same, but at least it's some form of consolation. 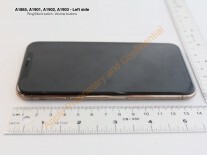 And so is this gold iPhone X, recently spotted in an FCC document. 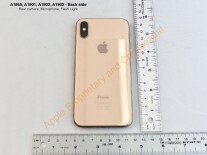 The specific color is named Blush Gold and since the 180-day confidentiality period on the document has expired, we can only assume it's well on its way to an official announcement and consumer hands. Just like the Product Red edition makeovers, the new color option for the iPhone X extends to the back, as well as the metal frame. 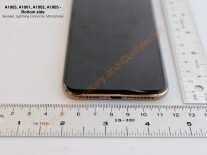 The latter gets a mirror-like finish, in roughly the same shade of gold. Since we have no information on any additional features or special status for the Blush Gold variant, we can only assume it will retail for the same price as the Space Gray and Silver units. 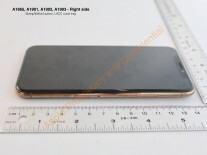 Other reports also suggest that Apple's future iPhone lineup will be available in Blush Gold as well. No. 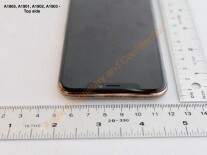 The rumour was Samsung was cutting OLED production because reduced order for the screens from Apple. They get put on a pedestal for Product RED, but they're absolute scum towards smaller businesses. The colour looks beautiful. Gorgeous!